The imposition of sanctions by the U.S. against terrorists, terrorist organizations, and their support structures is a powerful tool. Its effects reach far beyond the blocking of terrorist assets. Designating individuals or organizations as SDGTs, SDTs, or FTOs, denies them access to the U.S. financial system. 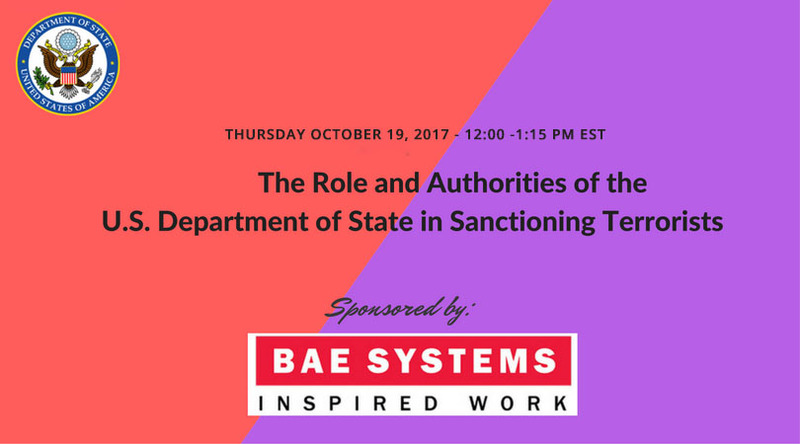 This live webinar explains the important role of U.S. Department of State – which arguably has the greatest influence of any US department over the implementation of US sanctions policy in designating terrorists. Do you know that SDGTs and FTOs are not designated by OFAC? Instead, they are placed on the “do not touch” list by State Department. Do you know the differences in practical restrictions between Foreign Terrorist Organization (FTO), Specially Designated Global Terrorists (SDGT), and state sponsors of terrorism? 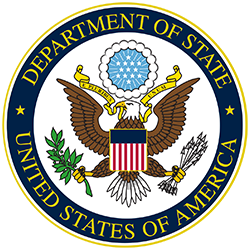 Do you know the ramifications of FTO listings by the US Department of State and how it affects your compliance program, even if you’re not a US business? Role of Counter Threat Finance and Sanctions Bureau and other offices. Jason Blazakis is the Director of the Counterterrorism Terrorism Finance and Designations Office at the U.S. Department of State’s Counterterrorism Bureau. 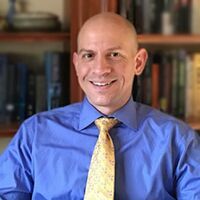 Jason is a counterterrorism expert who specializes in devising counterterrorism finance strategies and sanctions to further the United States Government’s objectives in countering the illicit flow of finance to terrorists. In his current role, Jason is responsible for directing efforts related to the Department of State’s terrorist designations of countries, organizations, and individuals under its State Sponsor of Terrorism, Foreign Terrorist Organization, and Executive Order 13224 legal authorities. His office is also responsible for planning the Counterterrorism Bureau’s efforts in countering the financial activities of groups such as ISIL, al-Qa’ida, Hamas, and Hizballah. Jason has been at the State Department since 2004. Prior to working at the Department of State, Jason served as a domestic intelligence analyst at the Congressional Research Service. In addition, he spent four years serving as a national security adviser to a United States Congressional Representative. Jason is also a lecturer at the University of Maryland where he has taught courses on terrorist finance, ISIL, and terrorist behavior. He holds degrees from Johns Hopkins University, Columbia University, and the University of Mississippi. This Live Webinar is Included in the SanctionsAlert.com Membership. SanctionsAlert.com Members will receive an email with log in details one day before the Webinar. These are also posted on the SanctionsAlert.com Platform. After the Live Webinar, SanctionsAlert.com Members can also view this webinar on-demand on our Platform.